Details Goldfinger Director Guy Hamilton returns as does the popular Sean Connery pictured here adorned by not only diamonds for which he retains little interest but by gorgeous Bond girls whose attention is always guarenteed. 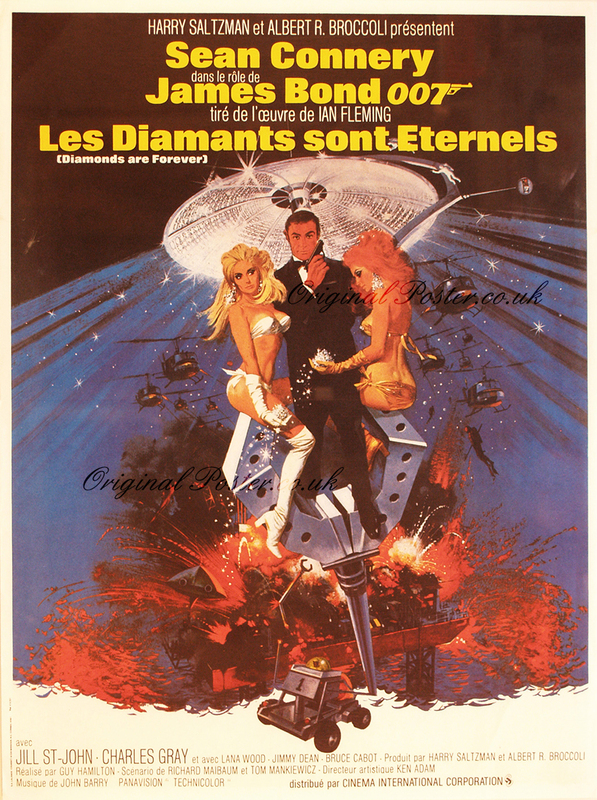 Diamonds abound in the artwork and stretch to Willard Whyte's diamond encrusted satelite in the background. This is a smaller poster.